Two games each with high points and low points, but which is the better game? Size Matters Pros: Still retains classic Ratchet and Clank gameplay while appealing to a new audience. Clank has extra fun little missions of his own. 60fps. More armors than any RaC game. Weapons upgrade to V4. Size Matters Cons: Poorest story of any RaC game. Shorter game length. Qwark's non-canon back-story. Dreamtime. Secret Agent Clank Pros: Appealing to fans of UYA's secret agent clank show. Clever story. Longer game length. Clank's gameplay is dominant. 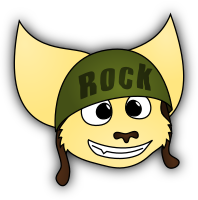 Klunk returns. 60fps. Madame Butterqwark. Gadgetbot missions. 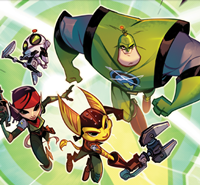 Secret Agent Clank Cons: Ratchet's and Qwark's gameplay were very poor. Levels were difficult over all. Almost impossible to 100% (does anyone even know what "Ratchet Packs" are?). Not much on classic gameplay. Lame weapons. I'd have to go with SM, just for the nostalgia of Pokitaru. I'd trade that game in for FFA in a heartbeat! Secret Agent Clank for me. I find Site Matter kinda… creepy and I don't care that SAC didn't have the old gameplay style. I liked both, but SAC was probably my favorite. It was fun to play a 'Bond-like' Ratchet game. 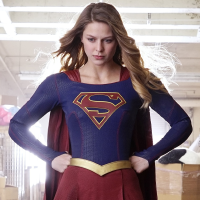 Pretty cool to see the show come to live in a spinoff. I'd choose SAC, not that it means anything, both Ratchet and Clank control much better in SAC but every other mission feels shoddy, like the Gadgebots who were a pain to play as and Qwark was rather clunky (Klunky, hehe) control wise. But atleast these missions added variety to the gameplay even though they completely broke the pace of the game (and also weren't as painful to play as that damn temple mission in SM) so i'd say SM was the more well constructed game but SAC has more fun to be had in it. Also the skill points in SAC are so specific and hard to pull off it's a wonder how anyone managed to figure them out. I'd probably go with Secret Agent Clank as well. It is a pretty decent spin-off, and it really brings some new stuff to the series that I feel mostly works. Size Matters just seems like it's trying to follow the usual game formula with a weaker and shorter story, and less interesting gameplay. SAC was much more fun imo. It was the first R&C game I beat and didn't stop at the last level for a long time. I am over half way with size matters, but that is not very fun to me. Size matters did not have good levels or story. My vote goes to SM. Simply because the weapons are a lot more fun and it has more replay value. I know the story was poorly written and that the dream level is genuinely a "big lipped alligator moment", but I find it quite enjoyable. I liked the fact that SAC gave Clank the opportunity to be the star of his own game, but besides the parts were you play as him, the rest of the game is more of a NO for me… For example, the shower part with Ratchet… Did we really need for something like that to exist? I'm just screwing around, it's a close call. 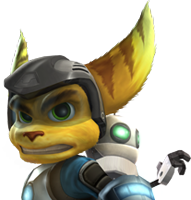 The way I see it is this: if you want a game with both Ratchet and Clank's gameplay enjoyable, choose SM.